As promised, Nokia has just released a version of the MeeGo platform for mobile phones. This is still quite an early build though, so many of the components are missing or unstable. However, the handset baseline source code is just about fine and that should be great news for the eager application developers. By releasing the early MeeGo Handset Day1 build Nokia also makes the last step to the merger of Moblin and Maemo. While, obviously, there is still much to be done on the MeeGo until the MeeGo 1.1 is ready to make its market premiere (should happen sometime in October), this early release will at least give us an idea of what to expect. We get to see the still uninhabited homescreen with a few shortcuts on the bottom and usual status indicators on the top. There are also the photo viewer, dialer, contacts and the SMS apps and the on-screen QWERTY keyboard to see in action. And what is more interesting, the Qt-based Fennec web broswer is also here waving Hello. As the video below reveals, everything works in both portrait and landscape mode. Developers will be glad to hear that along with these applications the MeeGo Handset Day1 release also comes with MeeGo APIs that incorporate the Qt and MeeGo Touch UI Framework (a.k.a. MTF). 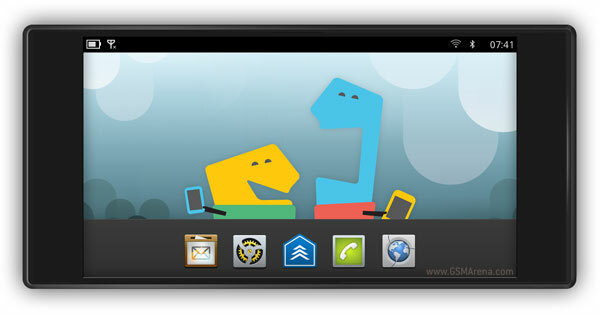 The Atom-based Aava Mobile can enjoy the MeeGo Handset Day1 release right now, while the Nokia N900 owners will have to wait for an N900-compatible image to show up. For more details on the early MeeGo 1.1 build follow our source link.